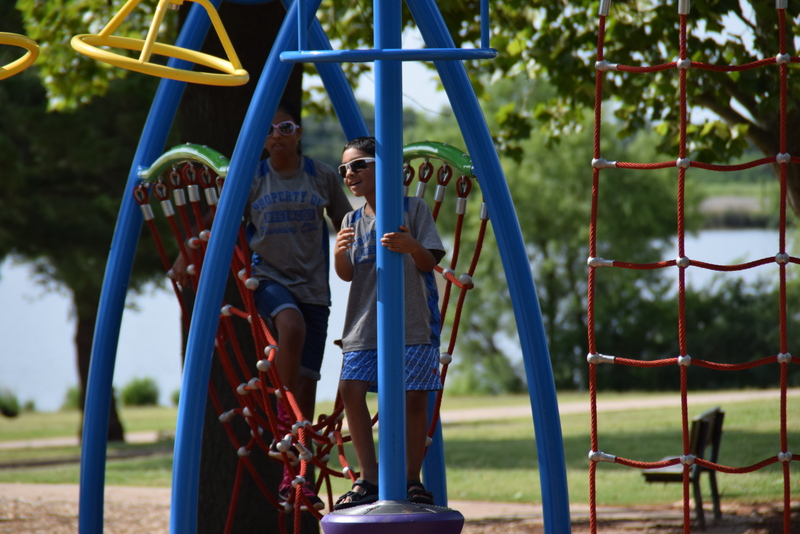 Are you ready for a FUN, SAFE, and Affordable Summer Camp in Stillwater, Oklahoma? YES! Our Exciting Summer Camp Includes: Martial Arts, Outdoor Sports, Field Trips and much more! Check out: StillwaterKids.com for more Info! Attention Moms and Dads in Stillwater, Oklahoma: If you are searching for an awesome Summer Camp for kids in the Stillwater, OK area, then you have come to the right place! Our summer camp is perfect for active kids who love to have fun participating in exciting sports activities! Our exciting Summer Camp is now accepting a limited number of new children ages 5-12 to join us this summer! Our summer camp is open every day from 7:30am to 5:30pm! You are going to love this summer camp because we offer the following fun and safe activities for no extra cost! Ninja Ball! Martial arts based versions of baseball, kickball, and soccer! Call us now to SAVE YOUR CHILD’S SPOT in this Awesome Summer Camp in Stillwater, OK!!! You and your child are going to love this Summer Camp in Stillwater! Read below for a list of frequently asked Summer Camp questions! What are your hours? Our administrative office is open every day from Noon until 8pm. Our camp is open every day from 7:30am-5:30pm. What ages do you accept? We accept children age 5-12. Do we have to purchase any sports equipment? No. We provide all necessary equipment for our activities! What does my child wear every day? Comfortable clothing that is worn to school each day is preferred. We also recommend tennis shoes with laces. Does my child need to bring food? Yes. We recommend that you pack bagged lunch each day for your child. We will provide a morning and afternoon snack. *We do not refrigerate or heat our summer camp student’s food. Can I take a tour of your summer camp campus? YES! We love inviting parents just like you to schedule a tour of our campus! Call us to schedule a tour. How do we register? Our camp sells out quickly each year. Please call us today to save your child’s spot right now! (405) 372-5425. Parents like you in Stillwater are rushing to save their children’s spots! We are almost sold out! Hurry! VIP Membership – Make one payment for the entire summer and save 5%! Call today! Entire Summer Membership – (Most Popular!) Make affordable weekly payments with this membership! This membership is perfect for parents like you who want their children to experience this awesome summer camp for the entire summer! You will save a significant amount of money on weekly summer camp tuition with this deal! Call for tuition rates! Weekly Membership! – This membership is for families who need to enroll on a week to week basis! Call for tuition rates! There are 2 easy ways to enroll! 1. Call us now and speak with a member of our summer camp team who will be happy to enroll your child over the phone! 2. Call and schedule an appointment for a tour of our campus! You can enroll in person!